MINSK, June 19. /TASS/. 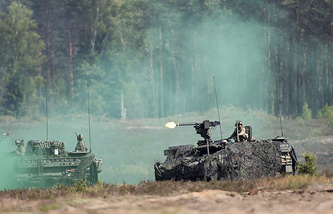 NATO’s military build-up and growing military activities near the Russian and Belarusian borders require special attention, Russian Foreign Minister Sergey Lavrov said at a meeting of the Supreme State Council of the Union State of Russia and Belarus. "The United States and its allies are not reluctant to interfere in the domestic affairs of sovereign states and even use military force," he said. "The deployment of the US global missile defenses causes particular concern as the US doctrines reduce the threshold for the use of nuclear arms. NATO’s military build-up and growing military activities near the Russian and Belarusian borders require special attention," the Russian top diplomat added. According to Lavrov, "the importance of close foreign policy coordination (between Russia and Belarus) has been growing, given the ongoing global tensions." The Russian foreign minister also said that "the United States’ withdrawal from the Iran nuclear deal shows the US administration’s disregard for its international legal obligations, let alone political statements and promises." "Under these difficult circumstances, our [the Russian and Belarusian] foreign ministries maintain close contact and develop joint steps," Lavrov said. He welcomed Minsk’s decision to vote "against provocative draft resolutions on Crimea at the 72nd session of the UN General Assembly and a session of the UNESCO Executive Board, as well as against the Georgia-drafted resolution exploiting the issue of refugees from Abkhazia and South Ossetia." 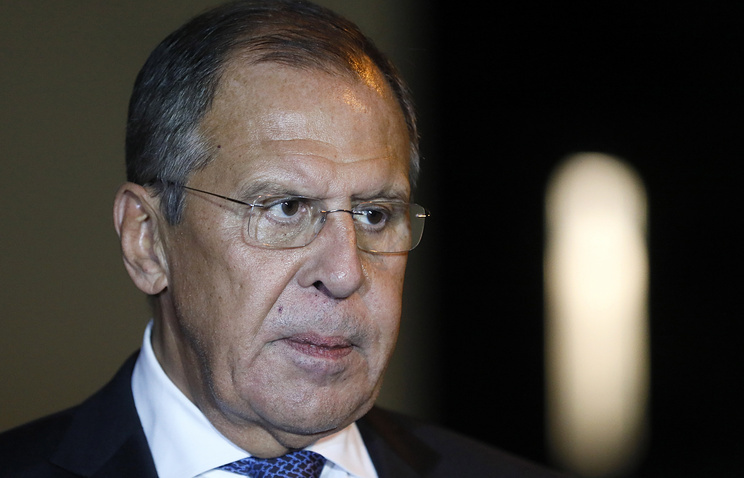 Lavrov pointed out that Minsk "unambiguously and strongly condemned missile attacks on Syria that the US, France and Great Britain carried out in April." "Not many of the global community members were independent enough to adequately respond to this blatant violation of international law," the Russian top diplomat stressed.